Cisco Spark is the leading cloud collaboration platform that provides messaging, calling, and meeting features. While Cisco goes to great lengths to secure its application and infrastructure against intrusions and attacks, it is your responsibility as the Enterprise Customer to enforce Data Protection & DLP policies on the data being loaded into and shared on Cisco Spark. It is also your responsibility to ensure that external parties you are interacting with do not spread malware into your meeting rooms. 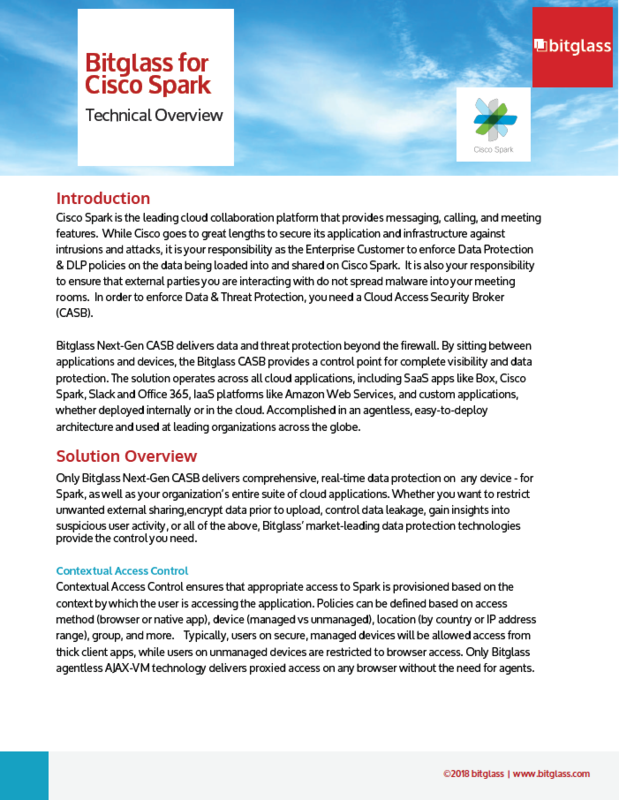 In order to enforce Data & Threat Protection, you need a Cloud Access Security Broker (CASB).